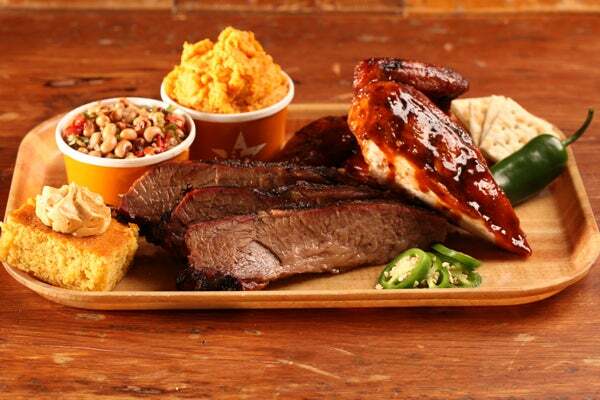 11 Delicious BBQ Spots — Get Hungry! BBQ is summer's quintessential grub — a true patio party wouldn’t be complete without it. And lucky for you, the D.C. area is home to some top-notch pit masters who have the sweet/smoky/saucy process down to an art. Maybe you go weak in the knees for BBQ chicken, pulled pork, ribs — or just a hearty serving of baked beans and cornbread. 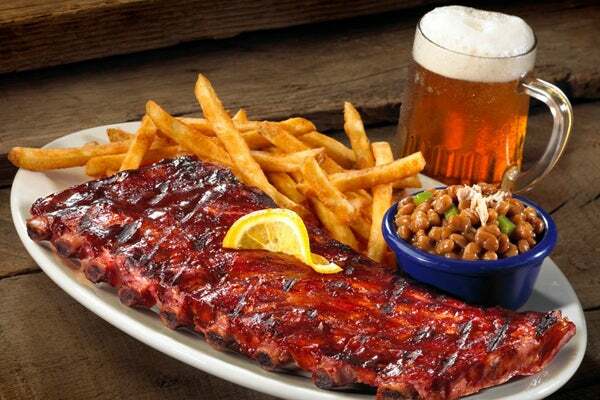 Either way, we've got the 'cue for you. Ahead, our top picks for the best BBQ joints that'll leave your hands messy and your bellies happy. Ready? Let's eat! Low-country Southern cuisine and live tunes are the staples of Columbia Height’s Acre 121. The BBQ here is dry-rubbed with a Carolina spice mix and slow-smoked with hickory. (Is your mouth watering yet?) 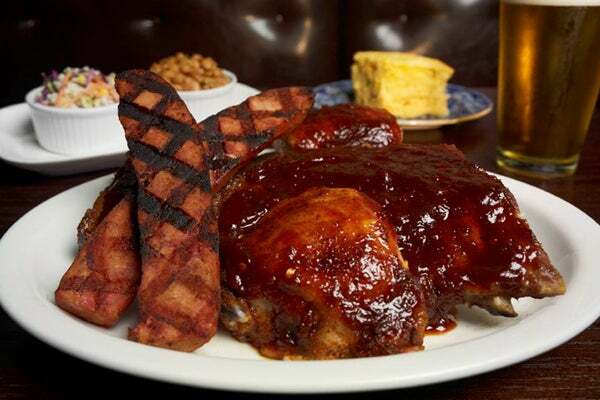 For a true down-south experience, start with the BBQ Mac-n-Cheese, choose from ribs or a pulled chicken or pork sandwich, accompany your main course with cheddar grits or fried green tomatoes, and top it all off with a slice of homemade peanut butter pie — just like grandma used to make. Acre 121, 1400 Irving Street NW; 202-328-0121. American Ice Company’s rustic decor — wooden picnic tables, exposed brick walls, and taxidermy — is complemented by your choice of barbecued pork, chicken or brisket served as a sandwich, platter or combo. Hearty sides like chili and DC Brau BBQ beans are also available, as well as a robust selection of beer and wine. Budget-conscience guests can rejoice, too: The most expensive menu item is a pitcher of beer for $23. American Ice Company, 917 V Street NW; 202-758-3562. The patio at Logan Circle’s Garden District (formerly known as Standard) is the perfect backdrop for the joint’s signature barbecue and craft beer. Choose from pulled pork, barbecue brisket, burgers, slawdogs, bratwurst or grilled cheese, and round out your meal with sides, including fries, hush puppies, and the best grilled Mexican corn in town. You’ll want to get here early on sunny days and grab a prime spot outdoors. Garden District, 1801 14th Street NW; no phone. Hill Country BBQ is a New York City transplant that serves up cuisine reminiscent of Texas Hill Country and regularly hosts live musicians. Diners choose from barbecued beef, pork, and poultry, then pick from served-only-in-the-South sides, like braised collard greens with bacon and sweet-potato bourbon mash. Hill Country BBQ, 410 Seventh St NW; 202-556-2050. A not-so-hidden gem in NoVa, Annandale’s Honey Pig Gooldaegee Korean Grill is legendary among adventurous D.C. foodies. As Korean pop tunes blast over the speakers, a server will bring a heaping platter of meat and cook it tableside while you watch. Once your server is finished grilling, he or she will recommend dips and sauces to go with the meat before wrapping it in a lettuce leaf. You can also satisfy your late-night cravings here — it’s open 24 hours a day and closes only on Monday nights. Honey Pig Gooldaegee Korean Grill, 7220 Columbia Pike, Annandale; 703-256-5229. Mandu's two outposts in D.C. serve four Korean BBQ dishes as part of a well-rounded, enticing menu. The restaurant's most-ordered ‘cue plate is the Galbi, a tender beef short rib that is marinated overnight in a traditional Korean formula of soy sauce, sesame oil, mirin, garlic, ginger, wine, and pepper. Ribs are charred, leaving them crispy on the outside and tender and juicy on the inside. Your best bet is to visit Mandu during its unbelievably good happy hour ($3 beers?!) from 4 to 7 p.m. every day. Mandu, 1805 18th Street NW, 202-588-1540; 453 K Street NW; 202-289-6899. Del Ray’s Pork Barrel BBQ slow-cooks its meats in a smoker filled with oak and hickory logs to give its ‘cue a smoky essence that you can smell from blocks away. After you’ve chosen your main dish, pick one of its four national award-winning sauces: original, sweet, mustard, or Carolina style, and feel free to drench your dinner in as much sauce as you like. We won’t judge. Pork Barrel BBQ, 2312 Mount Vernon Avenue, Alexandria; 703-822-5699. Since the late '80s, local chain Red, Hot & Blue has been serving up barbecue and the blues to NoVa and Maryland customers. (The name comes from the 1950s Memphis radio show that introduced listeners to Elvis Presley, Jerry Lee Lewis, and Johnny Cash.) Guests chow down on wings, sweet potato fries, pulled chicken sandwiches, brisket, and the restaurant's pork-shoulder specialty. Red Hot & Blue, various locations. See a complete list here. Way back in 1993, the White House called Rocklands’ founder John Snedden to get menu ideas for then-President Bill Clinton’s first State Dinner, giving it an only-in-D.C. appeal that has steadily grown. The restaurant now has four locations throughout the metropolitan area that serve up Snedden’s ribs, brisket, and chicken, covered in the chain’s original sauce. Rocklands, 2418 Wisconsin Avenue NW, 202-333-2558; 3471 Washington Boulevard, Arlington, 703-528-9663; 25 South Quaker Lane, Alexandria, 703-778-9663; 891A Rockville Pike, Rockville, 240-268-1120. At Smoke & Barrel, meats are smoked over bourbon-barrel chips, and the meat lovers and vegetarians alike will delight in diverse options like mimosas, roasted jalapeño grits, smoked tofu hash, BBQ brisket, smoked pork shoulder, and house-smoked salmon. For those who spent the night in Adams Morgan’s bars, the aptly named Hangover Helper Scramble will do the trick. Smoke & Barrel, 2471 18th Street NW; 202-319-9353. This mini chain (with four outposts in Maryland and one in Virginia) serves up hearty plates and takes a tongue-in-cheek approach to naming select menu items. One of Urban’s signature offerings, Soul Rolls, are egg rolls filled with BBQ brisket, sweet onions, and cheese — and you can enjoy them alongside the Redneck Fondue, a three-cheese dip blended with house-made chili. Urban Bar-B-Que Company, 5566 Norbeck Road, Rockville; 301-460-0050; 2007 Chapman Avenue, Rockville; 240-290-4827; 10163 New Hampshire Avenue, Silver Spring; 301-434-7427.